The fluoroquinolone antibiotics, which include drugs like Cipro, were first introduced in the 1980s. They inhibit DNA gyrase, an enzyme needed for bacterial DNA replication and therefore bacterial cell replication. Fluoroquinolones are used for lower respiratory tract infections, especially in the treatment of infections caused by methicillin-sensitive or resistant staphylococci, Pseudomonas and intracellular organisms. 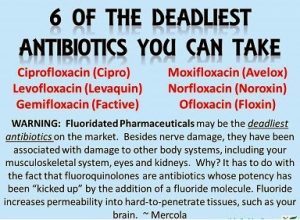 The fluoroquinolones are the most commonly used antibiotics today and are potentially very toxic. For example, amongst women with a new onset bladder infection, only 37% were given the preferred treatment, which is Septra, while 32% were given Cipro. In addition, most women were treated for a week or more, while the preferred treatment is only three days. Cipro is the most complained about medication on the web site http://www.askthepatient.com, where patients log on their reactions to different medications. Cipro and all of the fluoroquinolones can cause damage to cartilage, leading to pain in the joints that could last for years, and even rupture of the tendons. 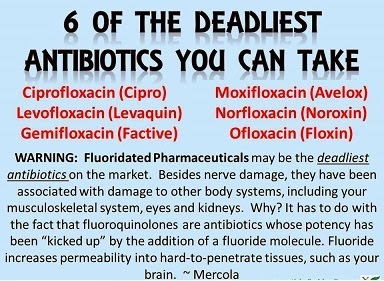 The most common side effects of fluoroquinolones are nausea, vomiting, and diarrhea, which occur in 3-6% of patients. Other side effects include headache, confusion, and dizziness, phototoxicity and cardiotoxicity. Most of them have interactions with warfarin (Coumadin), a medication used to decrease blood clotting. 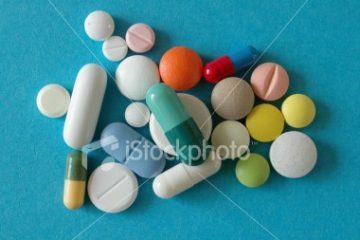 They also require dosage adjustment in patients with kidney disease. Animal studies show that quinolones can have effects on cartilage in young animals; these drugs are therefore not recommended for children. Related to this, quinolones have been associated with the development of joint pain and even tendon rupture.